Akos, 40 years old, works in a Montreal governmental office. His job is fine, but he doesn’t feel like he’s actually achieving something. On the side, he writes and his last book is rejected by all the established editors. A teacher from his high school asks him if he wants to come to talk her students as an example of success. It’s the week ‘‘I choose my future!”. He feels so depressed he refuses without even thinking about it. But Mr. Nicolas, an old friend and retired professor, insists and makes him change his mind. He owns him this effort. In front of a class full of teenagers not so interested, Akos starts to share how it was to leave Hungary and accept Québec as his new home. His mother decided to leave everything for a new life when she learned how much she could get paid for each wax epilation in Montréal. She could make a fortune she thought! From his difficult first days in school to him making the first page of the national news in 1995, his personal story will charm the kids and the teacher. 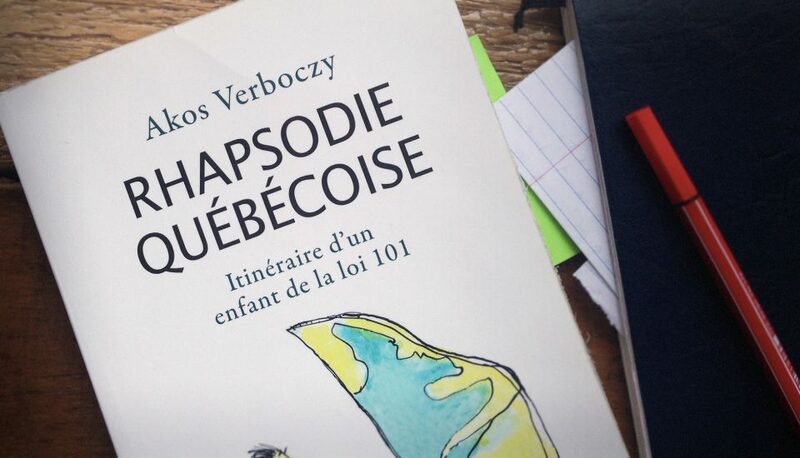 This is a film adaptation of the book Rhapsodie Québécoise written by Akos Verbozcy.